Royal duo Prince George and Princess Charlotte have started to influence fashion trends, new figures show. 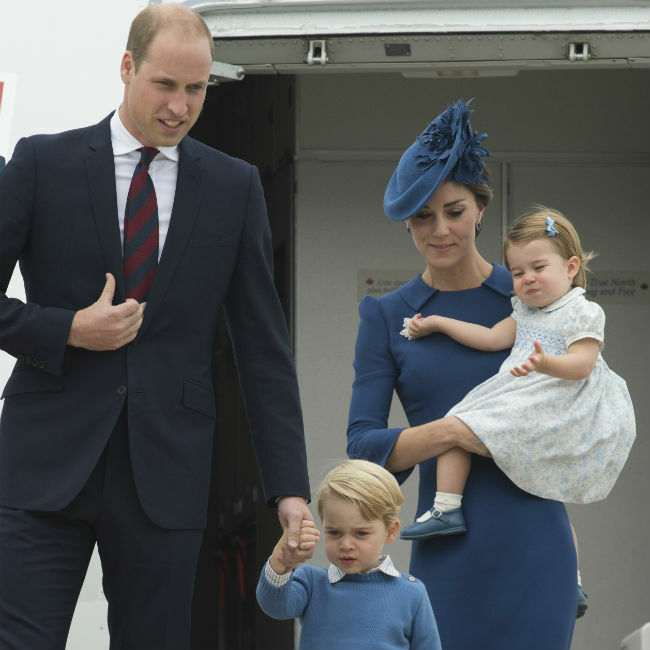 The four-year-old prince wore a blue jumper during the royals' tour of Canada in 2016, prompting a 200 percent spike in searches for the term 'blue jumper', and his two-year-old sister is having a similar impact with her own attire. An eBay spokesman said: "Her yellow cardigan worn in her birthday picture sparked the biggest percentage increase in searches for an item of clothing worn by any royal." Murray Lambell, vice president of trading at eBay, said that despite Duchess Catherine being known for her stylish attire, it is the youngest generation of royals who are, in fact, proving to be most influential. He added: "It's the youngest generation of royals who really generate the must-have fashion items - and are driving a new generation of shopping behaviour on eBay." Meanwhile, a body language expert recently claimed that the Duke and Duchess of Cambridge are never seen holding hands in public because they don't feel the need to prove their love for each other. Robin Kermode observed that the duo don't like to parade their love while they're both on official royal engagements. The expert explained: "It is very clear that William and Catherine are emotionally close, however, they do not seem to feel the need to prove their love - particularly when on official state business.